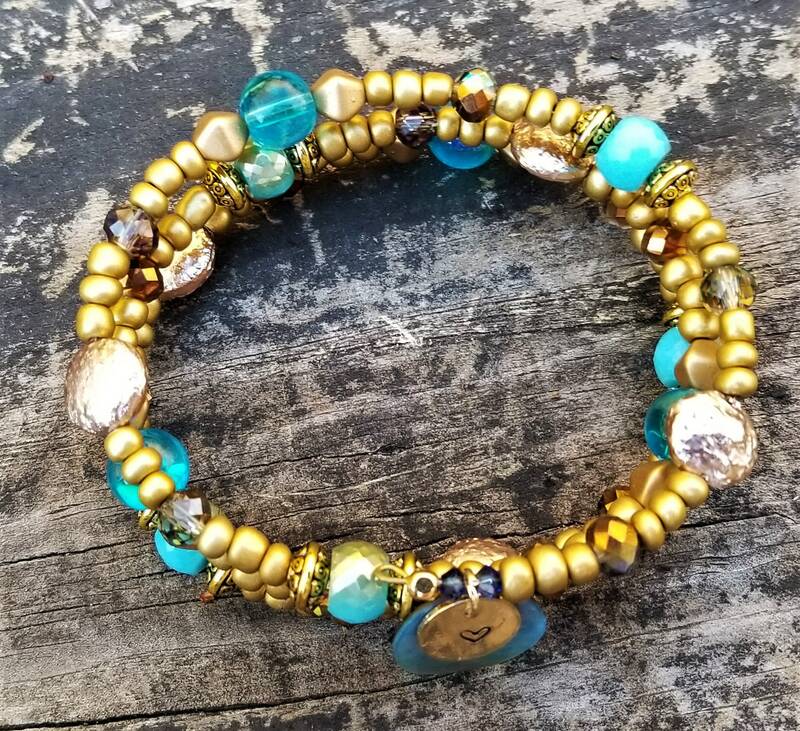 This LIMITED EDITION bracelet is inspired by Maricela, and her reluctant royal duties. 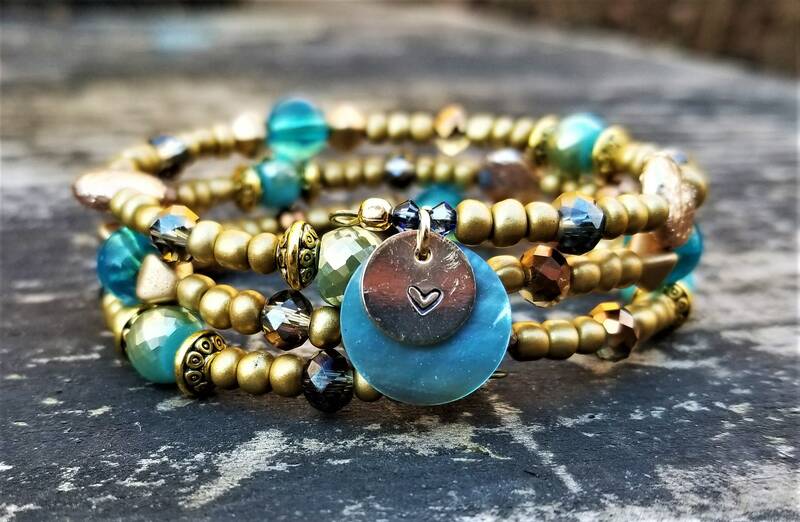 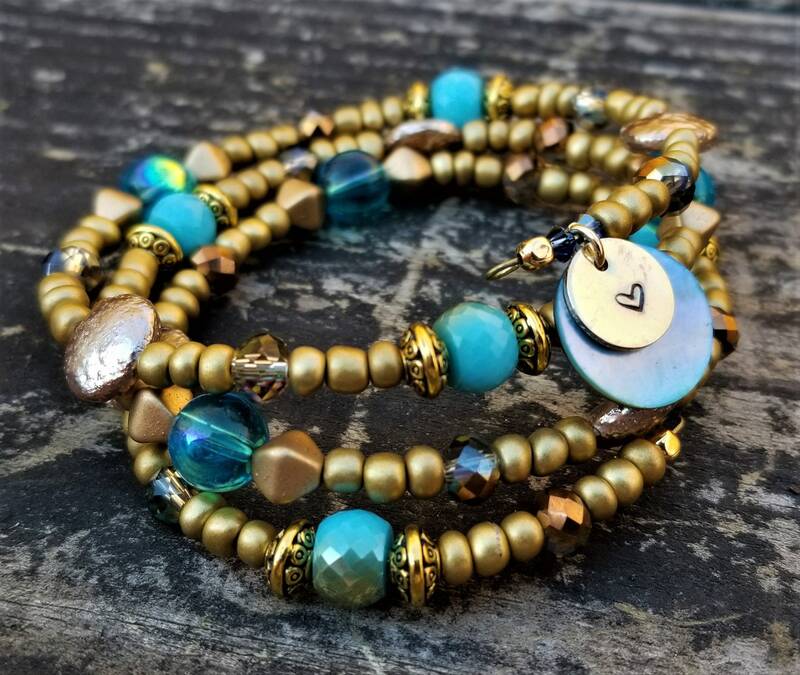 Made of beautiful golden beads in a mixture of metal, glass and wood, this bracelet is truly unique. 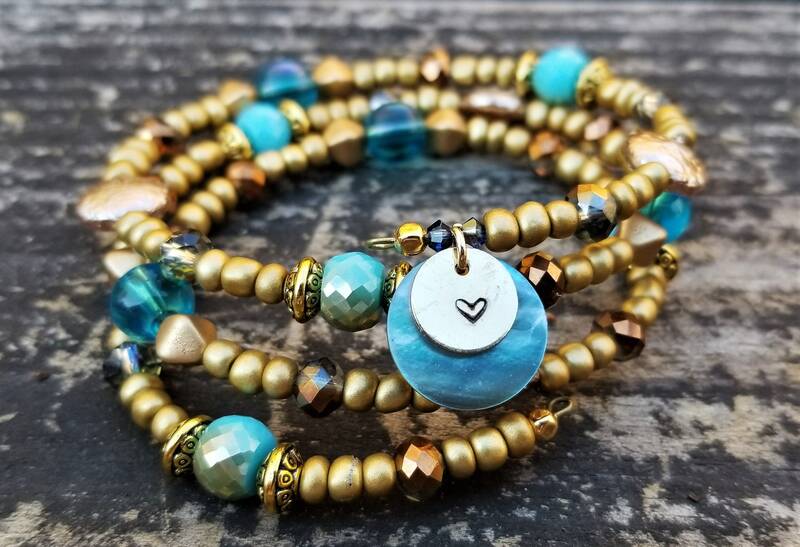 Pops of blue stand out, and a pearl shell charm with a hand-stamped heart charm finish it off.